San Felipe Weather...Where Did The Wind Go? This wind thing must be difficult to forecast. Yesterday all sources I checked forecasted howling winds throughout the week, yet this morning the Palm branches are still and today's forecast is for calm....So why is this so hard to predict? I'll let you know when I find out. "They"...you remember those guys, say it is going to start to blow again starting tomorrow so be prepared. Mid 50s at 5:00 AM this morning. Low 80s for the high today. It is going to be a beauty! Go out and do it! Beach Photo being taken right now! Mexico Living: SUCCESS! SUCCESS! Lots of Pictures on the way! 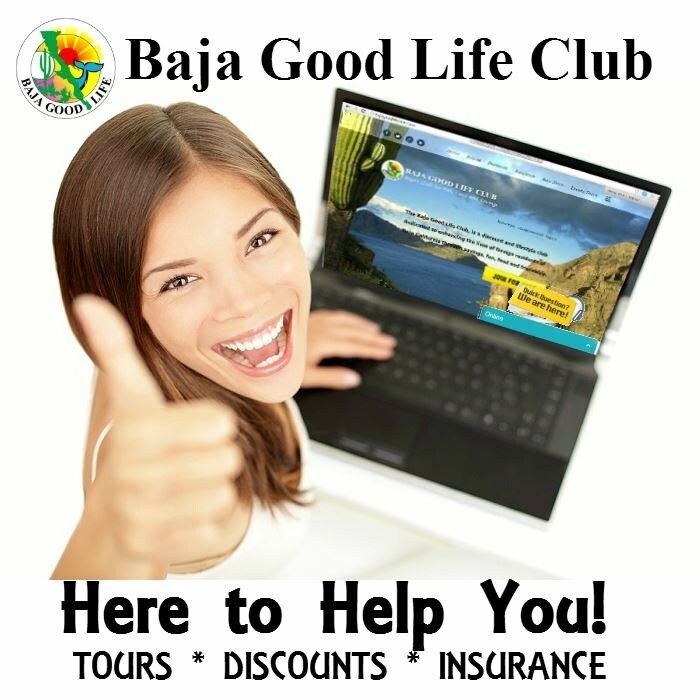 Blue Roadrunner: "The Lions Club and Mexico Living Guide, with financial help from a vast roster of sponsors, did a great job of organizing and promoting the event, which drew seven Blues groups from the San Diego area as well as our own Agave Blues and Vatos Locos bands. The music was superb and the groups who are habitual émigrés to the festival keep improving their sound. Shelle Blue and Michele Lundeen were particularly galvanizing and inspired repeated ovations from the crowd...."
Kat's Korner: The 3rd Annual Blues and Arts Fiesta was a great success and I personally had a blast. I had to leave for an hour to change my clothes and feed my dogs, but other than that, I stayed until it was over with. A big "thank you" to the Lions Club and the Packs of Mexico Living, Denny and Sandi Flannigan and everyone else involved (and there were many volunteers who ran their butts off). Possibly next year, we need a two day festival! My name is Gus. I am a 13-year-old CEDO volunteer. The Estero Morúa tour is a fun encounter with nature that I recommend. At the estuary’s oyster farm I learned about the estero, which is a safe haven and breeding ground for fish, birds and invertebrates. In the softer, nutrient-rich mud, we found hundreds of fiddler crabs living in holes along the sand. The male crab attracts a mate by waving his big right claw at them. A female fiddler crab may check out 100 burrows before deciding to settle down with a male! In the especially wet sand, we went dancing with the ghost shrimp by wiggling our toes and stomping our feet. Everybody was knee deep in mud and laughing. 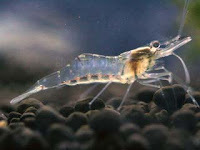 Our dance really did attract the shrimp and they began appearing all around us! After tasting some of the halophytes (tasty, salt-loving plants), we ran into a couple of oyster farmers checking their oyster beds. While they described with enthusiasm how they take care of their oysters, my mom and I both got a good nip from a curious jaiba (swimming crab)! In one small trip, I learned amazing things and gained environmental respect for the estuary. My mom and I found this to be a bonding experience since it’s not every day you get to do something this magical. CEDO is dedicated to bringing people closer to nature. I gained new determination to protect the beauty of Puerto Peñasco and its unique environment. I believe that ordinary people are the key to conserving the irreplaceable natural wonders of the Sea of Cortez. Last night's weather was excellent for an outdoor BBQ and hangin with friends round the fire pit. The temperature this morning is in the very low 60s and the winds are back. Looks like blustery conditions are here to stay for the majority of the week. High temps today might get into the mid 70s, but generally expect cooler & windy for the next several days. San Felipe's weekend weather wrap up. Perfect Weather...There is no other description that fits so well. 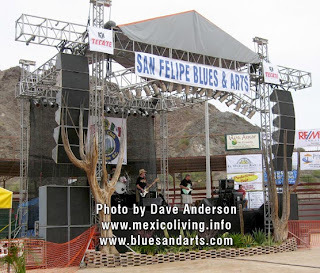 Highs in the mid 70's all sunshine all the time and the winds died way down for yesterdays Blues & Arts Feista...which will go down in San Felipe's history books as One Hell Of A Party. We were treated to truly world class music and art, staged beautifully enjoyed by San Felipe's eclectic melting pot of locals, transplants and tourists in perfect weather. Thank you John & Rachael and your gang of promoters, and helpers....THAT WAS AWESOME!!!! Matt, Young, What's Up San Carlos? SAN CARLOS, SONORA - Sons of Freedom will be hosting a Motorcyle Rally at the Country Club April 3, 4, 5. Opening and Registrations will begin at 12:00 noon on Friday April 3rd. The SONS OF FREEDOM is a motorcycle club that is dedicated to charity work here in San Carlos and has provided food and clothes to the less fortunate families in the San Carlos, Guaymas and San Jose area. As well as participating in the "Toys for Tots" campaign. Everyone is welcome to attend the rally festivities, with or without a motorcycle. Friday - Live music and a meet and greet. Saturday - Parade at 11:30am followed by a trick riding show by the local police department, Motorcycle games, as well games so the kids can participate. Live music to include Espuma, Cranio, , , and a wet t-shirt contest in the late evening. There will be vendors from across Sonora & Arizona. Sunday - The rally will wrap-up in the afternoon. The proceeds will be used for the above stated charities. PRE-PARTY at "The Lighthouse Lounge/Restaurant"
and all VIP will be attending; don't miss it! Cover charge of $5.00 US. San Felipe's weather is picture perfect, but the picture on the radar screen doesn't jibe. Highs in the low 80's with nearly a breeze. Tomorrow the radar screen could paint a different picture...one of cooler windy conditions. Still plenty of sun. Weather for the Saturday's Blues and Arts should be perfect. Clear blue skies and perfect temperatures San Felipe's weather is a work of art. Nothing to be blue about in San Felipe! SAN CARLOS, SONORA - The Society For The Benefit and Protection of the Animals (SBPA) will issue a neuter-spay certificate (at our expense) to low income families who cannot afford this service and for feral, abandoned or homeless animals. These certificates can be obtained at Carmelita's Nursery in the Ranchitos; Monday through Saturday from 9:00 AM until 3:00 PM. They can also be obtained from Graciela Dudley by calling 227-0358 Monday through Friday from 11:00 AM until 1:00 PM. If she is not in, leave a message so arrangements can be made for you to obtain a certificate. If you can afford to pay for this service, please do so, as SBPA's funds are limited. With your help we can have a healthy animal population in San Carlos. If you wish to volunteer to trap feral animals, traps are available at Carmelita's Nursery. You can check out a trap for a refundable deposit. Also Debbie Wild is looking for photos of "rescue" animals for next season's calendar. It must be a photo of the animal ONLY (no humans) and they must be a "rescue" animal. Contact is Debbie Wild 226-0293 or wilds2000@yahoo.com.... please send high quality photos only! The Espanglish Institute is preparing for a changing demographic.....VERY SHORT TERM VISITORS. SAN CARLOS, SONORA - The Espanglish Institute is preparing for a changing demographic.....VERY SHORT TERM VISITORS. So they'll be doing a series of restaurant engagements, cultural events, field trips and reducing the number of Spanish classes. In June, they will start up our Summer Day Camp for Kids and run it through August. I am alive by the grace of God and a well-coordinated effort by Dr. Camacho and gastroenterology surgeon Dr. Chavez soon after a lower abdomen pain showed up in an X-ray as a ruptured appendix. Within two hours they contacted an anesthesiologist and nurses in a Rosarito hospital to open my abdomen to retire the culprit and rid my digestive cavity of infectious material already infecting my intestines. This took place in late November and my very first solid meal of soup stock, fruit juice and gelatin took place on Thanksgiving Day. Definitely the most thankful day of my life, and I was also blessed to have as visitors my brother and sister with their families, as well as my sister-in-law. Recovery would normally have been four or five days but hypertension and blood sugar levels slowed the recovery process to eleven days. Needless to say, I am glad to report there was even mention of a recovery process. Post-op has also been slow, but again, I am soon due to have the last two stitches taken out from under my belly button tomorrow and should be able to start riding my bicycle again soon. Since I live near Puerto Nuevo, my local doctor Juan Camacho (office next to Chinese Restaurant in Primo Tapia) was my first point of contact. When he saw the gravity of the situation, he followed me home to leave my car and personally drove me to the hospital while he spent the entire trip on the phone coordinating the rest of the team. Within two hours and after the anesthesiologist had my lower body “out,” they went to work as I lay awake listening to them and the ranchera music playing in the background. They gave me periodic reports of their work and maintained a positive attitude throughout, which gave me hope and piece of mind during surgery. After eleven days in the family atmosphere of Santa Lucia Hospital, I walked out as I thanked God for another lease on life. I also appreciate the work of Dr. Chavez, who is inaugurating his own new hospital in Rosarito; and, of course, Dr. Camacho, who will be collaborating with Centro Médico Paraiso on many new ventures, such as aesthetic surgery at that same facility. Cost you ask? A similar procedure would have cost me (and my family and friends) over $60,000 in the U.S., but was under $10,000 locally, and I’m as good as new. ¡Gracias a Dios! Question: Should student Sarah Tjoa go to Cancún, Mexico, for spring break? She posed that question in a letter to the Travel section, and in the March 15 "On the Spot," we asked readers to weigh in. Here is some of what they had to say. We just returned from a wonderful vacation on the Riviera Nayarit, one of many trips we've taken to Mexico in the last 30-plus years. We felt very safe everywhere we went. You can be a victim of crime at home or anywhere in the world. What is most important is to be knowledgeable about where you are and to exercise good common sense. As a travel agent and lover of Mexico vacations, I think the reader is being overly cautious. I have traveled to Mexico five times since September 2006 and except for one time in Cabo where someone tried to sell me drugs, I have never felt unsafe, even by myself. (I'm in my mid-20s). Follow the basic rules: Don't leave drinks unattended, watch your alcohol intake (and don't do drugs), don't walk alone at night, use reputable tour companies when traveling outside the city, etc. and you should be fine. Recent conflicts have been in Mexican border towns hundreds of miles from Cancún and the Riviera Maya. Unfortunately, most Americans are ignorant of the geography of Mexico. They do not know that Mexico is three times the size of Texas. If we had unrest in Los Angeles (riots, gang wars, earthquakes) would you cancel your vacation or meeting/convention in Chicago? I do not think so. In the end, it comes down to common sense. There was a shooting death in Tijuana while we were in Ensenada, but we never felt that such a thing was imminent. I would encourage people to open their hearts and minds to travel in the non-border towns of Mexico once again. You can never take caution too far when traveling. It's not as though all these young, inexperienced travelers would stick out, carry money or leave their best judgment at home. . . .
Is it going to take 10,000 or 20,000 lives before we adopt a pro-active mind-set on the drug wars? My wife is from Morelia, Michoacán. We try to go down there at least once a year or every other year with our two kids. We're going for two weeks this summer and everybody is looking forward to it. Sure I get the jitters; I try not to think about too much about everything that's going on. I want my kids to enjoy going to Mexico and to appreciate the food, language, music and culture. I don't want them to grow up in fear that something bad can happen when they go to Mexico. I also like knowing that my money is helping others to keep a job (airlines, taxi, restaurants, etc.). When we go out, I carry only what we're going to spend that day and that's it. Leave the American Express at home. Even though it is good advice to be aware of your surroundings, I don't stress out about it too much, because I won't enjoy it. Hey, you have to be aware of your surroundings here in L.A.; it's not that much different. I would recommend that the reader take that trip to enjoy the culture of the Maya and to stimulate the Mexican economy. They need it so much more than we do. Just don't flash your jewels, fancy cameras or anything that's going to make you an easy target. That reader should go. I can't speak for Cancún, but I don't think the Maya country is a problem. We recently spent eight days in Yucatán, traveling in a group of eight with a Maya-speaking American anthropologist and a local guide. The trip logistics were organized by EcoTurismo Yucatan, a Mérida-based company. We stayed in Mérida, Chichén Itzá, Cobá, Valladolid and Uxmal and visited many other sites, some major, some minor, all fascinating. We saw police checkpoints, but no other evidence of lawlessness. Saturday night in Mérida in the winter is an all-night fiesta with food, music and families out and about on the central plaza. Whatever the problems the drug war is causing in parts of Mexico, they don't seem to be an issue in the Yucatán. I guess she's stuck with Cancún, but if she really wants to see the Mayan sites, she should get out as soon as she can and visit the real Yucatán. The Mayan people will make her feel welcome. The weather in San Felipe is wonderful as I walked downtown this morning to find an internet connection. High temperatures should push into the low 80s today and the humidity is lower than it has been. Winds are still forecasted but just haven't materialized they way that they can so keep your fingers crossed, and your patio umbrella secured. Clear skies and forever views until the wind statrs to blow. Enjoy our sunny skies and warming weather. Zippity Ay, My oh my what a wonderful day. Pretty nice today if you can deal with the wind gusts. Pleasant temperatures, plenty of sunshine. Gusty conditions for the next few days. Should tapper off by the weekend making grand weather for the Blues & Arts Feista. Question of the day...someone must know...Does the wind really affect our internet connections and if yes how. Pueato Penasco - An empty room of four walls and a ceiling is a blank canvas. And at times, it can simply be overwhelming to imagine the room in its completeness. A successful interior designer is an artist who can listen and interpret the shapeless visions of the homeowner and artfully contour these dreams into a reality. What is the function of the room? Will this space be for entertaining and partying? Will it be for relaxing and meditation? What are the habits of the homeowner? Will the focal point be a family heirloom or a prized painting? Eddie Wharez is such an artist. His store and studio is Disenos Casa y Jardin, located on the Old Cholla road in Puerto Peñasco. Eddie, named by his mom after Edgar Allen Poe, was born in Pachuca, Mexico. He was raised in Guadalajara and worked in Puerto Vallarta. His past experiences in the management of a medical research facility along with being involved in the tourist industry may at first seem unrelated to his present work as a designer. But, Eddie points out that these work experiences actually prepared him in many very specific ways for his work as an interior designer. Working in a scientific laboratory was structured work with strict codes and protocol. Likewise in design, there are some things that must be just right! For example, yardage for upholstery or drapes, measurements for room dimensions and furniture size, even colors and textures are precise equations that require an exacting eye. Similarly, his experience in the tourist industry helped Eddie to understand the value of being hospitable and friendly, making the homeowner feel at ease and reassured. Disenos Casa y Jardin is a retail shopping experience. The store has been open for six years; although it has been at the Cholla location for two years. Music filters in the air and lamps provide a home-like ambience. The place is brimming with unique items that have been selected at World Markets from such exotic locales as Kenya, Spain, Cuba and Indonesia. Come in and browse the store! You will find outdoor furniture made specifically to tolerate the salt air, indoor furniture, beautiful pictures, ornate mirrors, exquisite lamps, great replicas and statues along with local art and trinkets. This is one-stop shopping, as you may place custom orders for specialty items such as blinds or even have a custom piece of furniture made. Disenos Casa y Jardin has six employees in the store; but also has a workforce that can accomplish every detail from installation of blinds, upholstering, painting (including faux finishes), cut glass tops for tables and even carpenters. Whether your style is Modern, Contemporary, Traditional Mexican, Old Spain or Rustic, and whether your color choices are bright or muted, your preferences leather, wood, ironwork, wicker or chrome, stop by and discover Disenos Casa y Jardin! High thin clouds over the water and clear blue skies over the mountains this morning. The high temp for the day may only reach into the mid to upper 60s. Forecast shows increased winds over the next week but current conditions are fairly calm, but you know what happens when our winds kick up. It might be prudent to put down the patio umbrellas, gather up anything you don't want to chase across the desert, and put a towel down behind that stupid door that leaks sand everytime the wind blows. Looks like cooler and dustier through the week. 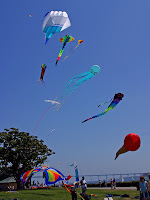 Grab a kite and enjoy the week. New CD Release - "Don't Need No Reason To Party"
There‘s a buzz in the air about the highly-anticipated new CD by Denny Flannigan and the "Suns of the Beaches" featuring Arturo Esquivias Yee titled Don't Need No Reason To Party! Scheduled for release in mid-March on a major record label, the CD represents the past three years of work by Flannigan and Esquivias to produce a compilation of music that reflects the essence and spirit of San Felipe and Baja Norte. Lots of local talent participated in creating this high-energy and upbeat memento of the "San Felipe Sound." As most of you remember, Denny’s band, "Suns of the Beaches," was a primary driving force in the entertainment scene for several years along with Arturo's band, Tres Generations. Tres Generations disbanded after 13 years and were honored at the 2008 2nd Annual Blues and Arts Fiesta for their musical contribution to the community. From San Felipe Salsa to Denny’s "wild child piano style" on Bumble B. Boogie, this CD rocks! Sleepwalk, added by popular demand, is a powerful arrangement of the early classic Santo & Johnny Belly-Rubber. Flannigan and Esquivias have maintained the original romance and integrity of the song while updating the audio presence and quality with a new flair. If you are a fan of Arturo’s searing guitar, Gata Loca will give you an "Arturo fix" that will rock your socks off! The previously released "DON’T NEED NO REASON TO PARTY" bumper sticker appears on over 3,000 cars, monster trucks, sandrails, refrigerators, bedposts and various places throughout the U.S. and Canada. 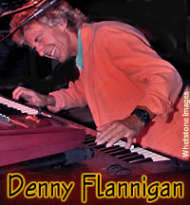 Look for Denny Flannigan’s Don't Need No Reason To Party CD at the 3rd Annual Blues and Arts Fiesta on March 28 in San Felipe where Flannigan will again host this outrageous festival presented by the San Felipe Lions Club and Mexico Living. Catch Denny and the Name That Tune Gang at Brians Beach Bar at Playa de Oro every Thursday! Name That Tune. On March 28th the Sea of Cortez will be a different shade of blue and lives will be changed. San Felipe is a slow moving fishing village on the western apex of the sea, just 120 miles south of the U.S. border. But on this day, everything changes and you can feel the energy as it blows over the town on the daily winds. Every person in town will be at the baseball field to enjoy great music and fine art while supporting the growing good this event makes possible each year. This year will feature some of the best “rockin’ blues” bands and as many as 60 of the finest artists from northwest Mexico and the southwest U.S.
With each ticket sold, and each art display, the attendees and artists are changing lives. The 150 people working the event are all volunteers, even the bands are donating their music and amazing talents. One of the Sponsors for the event is Score-International and CEO Sal Fish will be Grand Marshall. So, all you off-road racing fans will want to be there too. Mark your calendars for March 28 and visit the little fishing village of San Felipe for the fundraising event of the season. Presented by the San Felipe BC Lions Club, and Mexico Living. Tickets are only $20 for admission. Tickets and travel information are available at www.bluesandarts.com. Michele Lundeen & Blues Streak - "The Queen of Steam" - roadhouse blues, classic R&B and funky soul. 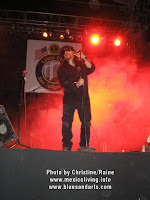 A multiple San Diego Music Awards "Blues Blues" nominee. 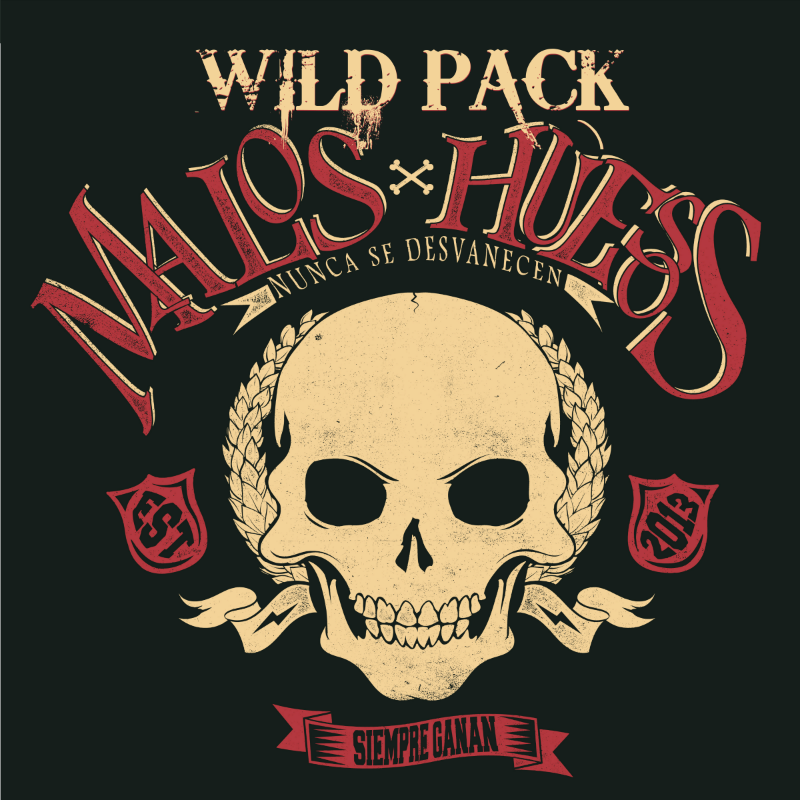 Vatos Locos - 2008 Mexico Living BEST OF Readers Poll winner. Agave Blues - A mix of original and favorites, from San Felipe. Johnny Mastro & Mama’s Boys - LA Music Awards “Best Blues Band” winner. The Backwater Blues Band - High-energy blues. One of San Diego’s premiere blues bands. Shelle Blue - Upbeat and sultry rhythm and blues sounds. Mofo Party Band - Old-school Chicago Blues and West Coast Jump sound. Chet and The Committee - nominated "Best Blues Band" 2007 and 2008 by San Diego Music Awards Association. Lisa Cee - Rockin’ blues with a funky edge. The Blues Concert and Art Fiesta is a fund raising event for the community of San Felipe benefiting The Sonshine Hacienda and The Flying Samaritans Medical Clinics. Sonshine Hacienda's goal is to aid the social services of San Felipe in being able to place abused and/or abandoned children in a safe place, while they and their family situation can be evaluated more in depth. 011-52- 686 686-577-0795 or email: missionaries2@yahoo.com, ask for Gary or Karen. Flying Samaritans is a volunteer organization that operates free medical clinics in BC, Mexico. 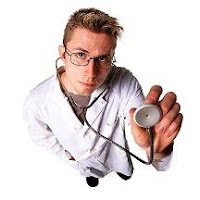 Doctors, dentists, nurses, translators, pilots and support personnel drive or fly to clinics in private aircraft. The Flying Samaritans has four basic missions: primary care, specialty care, education and emergency care. In a meeting in Mexicali on January 19, SIDUE, the Baja state government agency that coordinates transportation development, revealed their plans for an expanded port of entry at the downtown Calexico port. Last September the U.S. General Services Agency (GSA) made their plans known for the proposed upgrades to this port of entry. The GSA plan for the U.S. side of the border will increase the current 10 lanes to 16 lanes. With the new design, each lane will allow for a new “double stacking” strategy that the Customs and Border Protection Service (CBP) is experimenting with at existing ports. Using this strategy, the new downtown Calexico port will be able to operate as many as 32 lanes during peak congestion times. Current plans call for the GSA to begin construction of the redesigned port in 2010 and finish the first phase by 2011. The second phase of construction will be concluded in 2014. CBP will have the ability to expand the number of SENTRI lanes to whatever level is necessary to maintain the minimal wait times for participants in this program. The new plans that were revealed by the Baja state government call for an extensive complex of new roads and bridges to access the downtown port. A new four-lane access road along the border fence coming from the west will be constructed. This road (Cristobal Colon) will essentially be an extension of the existing road from the east that we have used for years to access the port. The new plans call for new bridges and underpasses at the border approaches that will remind a traveler of the crossing between San Ysidro and Tijuana. Access to the new road from the west will be via a new expressway that will begin near the Costco store at the beginning of the San Felipe Highway. This road (Perifico Gomez Morin) will be an expressway that heads west and then turns north to connect to the new Cristobal Colon access along the western border fence. Construction for all of the new access roads and the reconfigured Mexican customs and immigration facilities will be complete in 2014. Officials in Calexico and Imperial County made countless trips to Washington, D.C., to lobby for more infrastructure to speed up the process of crossing into the United States ever since the extra security measures started being implemented after 9-11. These efforts are now paying off, and the expectation is that when complete, the border wait times should decrease by about two thirds. Below is a diagram of the proposed improvements. MILWAUKEE, March 18, 2009 /PRNewswire via COMTEX/ -- The recently updated Mexico Travel Alert has been broadly misinterpreted by media and consumers. The alert does not discourage U.S. citizens from traveling to Mexico, but instead encourages travelers to take common sense precautions to ensure that travel to Mexico is safe and enjoyable. To get a pulse on how vacationers who recently returned from Mexico felt about their safety and experience, The Mark Travel Corporation (parent company to Funjet Vacations) initiated and aggregated a consumer survey. From March 6 - 15, 2009, more than 900 responses were received from travelers who took a vacation to Mexico between October 2008 and March 2009. The results were overwhelmingly positive with 97% of those surveyed indicating they would return to Mexico for another vacation and 90% of all respondents agreeing to the statement "I felt safe and secure." Of the respondents who agreed to feeling safe and secure, 92% traveled in 2009 and 88% traveled in 2008, indicating that a growing number of travelers felt safe and secure in Mexico in 2009. There were some travelers, only 9%, who indicated they felt unsafe at some time during their vacation in Mexico and less than 1% of respondents felt unsafe while on the resort property. The vast majority of reasons for feeling unsafe reflected isolated concerns that were not related to personal or physical safety. The majority of respondents vacationed in Cancun/Riviera Maya, the most popular leisure destination in Mexico, which is more than 1,300 miles from the nearest U.S./Mexico border town referred to in the updated Mexico Travel Alert. Other respondents also vacationed in major tourist destinations including Puerto Vallarta, Cozumel, Los Cabos, Ixtapa, Acapulco and Mazatlan. These destinations are a minimum of 375 miles (the distance from Mazatlan to Chihuahua) from any U.S./Mexico border town. To view a map of Mexico that includes tourist destinations, border towns and mileage, visit Mexico-Update.com, a Web site recently launched by the Mexico Tourism Board to address travelers' questions about travel and safety in Mexico. "The survey respondents confirmed Funjet's position that Mexico continues to be an amazing, safe and fun vacation destination. The results should give other travelers confidence to plan a Mexico vacation," stated Mike Going, President of Funjet Vacations. 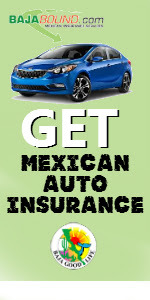 "We encourage consumers to get the facts about the Mexico Travel Alert from their travel agent or Funjet.com/pressroom. The concentration of drug cartel violence that caused the U.S. Department of State to update the alert is hundreds, and in some cases thousands, of miles away from Cancun, Riviera Maya, Puerto Vallarta and other main tourist areas." There was no incentive or giveaway associated with the survey and travel agents were encouraged to send it to any of their clients who recently returned from Mexico and traveled with Funjet Vacations or another tour operator. For more information on the Mexico Travel Alert consumers should contact a local travel agent, visit Funjet.com/pressroom or call 1-888-558-6654. To book a Funjet vacation to Mexico, travelers should contact their local travel agent or Funjet.com. New Digs for Dogs Beginning Friday, April 17th. Beginning Friday, April 17th, ZAPP will be holding spay/neuter clinics at our new location in San Felipe. We will now be doing surgeries at a new location, just behind the light blue Jehovah Church on Mar Caribe, (Mar Caribe is the street that the "Z" Market is on, the same street that takes you to the baseball field). The Church is located on the corner of Mar Caribe and Acapulco, and the new location is on the street directly behind the Church. It's a brand new facility, completely air conditioned, ceiling fans throughout, new plumbing, great light, and best of all, we have a bano inside! Thank you Casey Hamlin. Our next scheduled clinic is Friday, April 17th, and then again on Friday, April 24th. We are also switching clinics to Fridays from Saturdays, to make it easier on Dr Solis's commute. As you know, his office is open on Wednesday and Thursday here in San Felipe, so from now on he won't have to go back to Mexicali on Friday, only to return on Saturday. San Felipe weather is perfect for Hobie Cat racing. 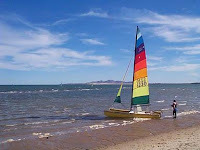 Their colorful sails on our bay remind me of rainbow...which we don't see alot of in San Felipe. Last night there was enought humidity to creat dew on many surfaces...ewww my quad seat is very wet. Expect low 80s and a bit cooler tomorrow. The winds will be just about perfect for the Hobi Cats, and they are blowing in from the south which is more of our standard summer pattern emerging. Great day to get down to the water and watch the graceful coloors dance across the sea. It was standing room only for Julia Chacon and Inspiración Flamenca’s performance at the San Carlos Plaza. And, at only US$10 a ticket, it was money well spent. The energetic interaction of Julia’s dancing, the gut-wrenching singing of Meagan Chandler and the beautiful guitar playing of Joaquin Gallegos was infectious and soon had the audience shouting olé! Julia dominated the stage with her rapid-fire staccato footwork and graceful and sensual movements. The performance was a passionate and fiery expression of life and love. With power and attitude surging from the souls of her feet and bursting over the audience, Julia allowed us to see, feel and share emotions ranging from pain and suffering to ecstasy and joy. In February, the always entertaining Banda de Música del Gobierno del Estado de Sonora presented their big band sound, performing everything from the Star Wars theme, to symphonic works and folk music. 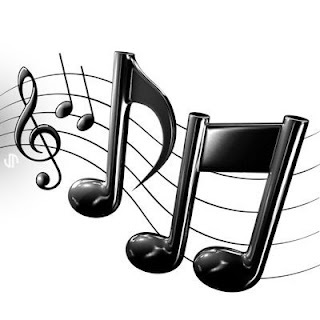 From November through March, the Performing Arts Council hosts monthly concerts in San Carlos. Upcoming in March are Greek guitarists, the Sahnas Brothers. For more information on the Performing Arts Council and to see the schedule, go to www.sancarlosconcerts.com. materials from this Mexico Living Document in either machine-readable form or any other form without permission of Mexico Living or payment of the appropriate royalty for reuse. For permissions and other copyright-related questions, please email your question to: mexicoliving@gmail.com. This “Combina Bee’s” lunch special rivals Applebee’s breakfast, a special that offers two breakfasts for the price of one. My sister and I thought such a deal couldn’t be beat a couple of weeks ago when we visited the Pabellón shopping center in Rosarito. Another visit to the restaurant, we both tried the tender beef fajitas served over a bed of delicious rice. We both enjoyed the cold mugs of beer that kept the grilled jalapeños from overpowering our palate. You can enjoy the above specials at the Tijuana, Rosarito and Ensenada Applebee’s Restaurants that are located in the shopping centers that feature Walmart and Home Depot stores. The grill and bars are a welcome addition for taking a break from shopping as well as casual lunches with business colleagues or visitors. They offer a variety of dishes to suit any and all tastes, in addition to the availability of beer and other spirits to soften the mood of an otherwise hectic schedule. The “Combina Bee’s” lunch special has what they call “Sandwichopa” from which you can choose 64 different combinations of your favorite items. Put together your own dish among the many choices of soups, salads, pasta and sandwiches. Or you may choose combinations that they have already prepared for you. There is only one limitation on the lunch specials, you need to visit the nearest Applebee’s between noon and 5 p.m., that’s it! The restaurants offer great service as they are well staffed and provide plenty of supervised parking for your friends and business associates to enjoy a nutritious and relaxed lunch. If you get there before noon, don’t forget about the two-for-one breakfast specials. ¡Buen Provecho! On Monday, January 12, 2009, Mexican President Felipe Calderón met with then U.S. President-elect Barack Obama and then with leaders of the U.S. Senate and House of Representatives to discuss topics of interest to both countries. The parties discussed such crucial issues as the North American Free Trade Agreement between Canada, Mexico and the United States, border security, immigration and economic development. In Obama's first meeting with a foreign leader since his election, he praised President Calderón's leadership and stewardship of Mexico's economy. 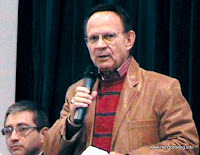 He stated that he considers Mexico a major ally of the United States. The two leaders proposed organizing a strategic alliance to deal with common problems such as security. Obama also pledged to heighten efforts to stem the southbound flow of weapons and cash to drug traffickers. "We have such an extraordinary relationship between our two countries, one that my intention is to make stronger," Obama declared. He said that his goal is to build on the commercial, security and cultural ties between the countries. Obama said the message that he brought to President Calderón is that his administration will begin work immediately to strengthen the U.S.–Mexico relationship. He believes the existing association between the two border nations is strong, but said that he thinks that it can be made stronger. And, he promised to try to make it so. During my morning weather fact finding walk I noticed something that I had seen a thousand times but when I looked closer I discovered what I thought was an abandon shrimp stand just across from the AM PM was wash in activity. Fisherman unloading thousands of pounds of fish and cleaning them for sale, other local markets and restaurants in the area. These guys know about weather and I'll be consulting with them regularly for insights on the weather...and about the local fish fare. Today's weather will be the warmest of the week with afternoon temps into the low 80's. Last nights starry skies yielded to cloudy conditions this morning and we can expect more cloud cover than yesterday. Gradual cooling over the weekend with our high temps dipping into the mid to low 70s...If "they" are right you might want to have your parka handy on Sunday morning. Otherwise it is the weekend just go do it! Day break in San Felipe revealed this morning’s low temperature of 60 degrees. It won’t be long before temperatures in the 60s will be but a distant memory. A few high lite clouds on the horizon otherwise clear beautiful skies and forever visibility. The details in the mountains can be see with shocking clarity as the sun illuminates and brings them to life as shadows roll across them as the sun arches across the sky. It is going to be warm again today and I wouldn’t be surprised to see temperatures in the low 80s this afternoon. The breeze is nearly discernible…Another glorious day. Enjoy! SAN CARLOS - Galleria Bellas Artes recently hosted a delightful cocktail party to introduce new art pieces along with a book signing where local resident Joe Noonkester's fourth psychological thriller, Twisted Delusions, made its debut. Noonkester, a former police officer, writes his spellbinding mystery novels based on his years of experience in the North Hollywood, California, police precinct. The gallery is known for its traditional, contemporary paintings and sculptures. Two local residents, Michael Merrigan and Carol Pierce, were highlighted along with several of their art pieces. Both painters consider themselves realists and offered some lovely items. Other stunning pieces of artwork were offered and a powerful oil painting entitled Ballarina by Becerra, a gifted artist from Puerto Vallarta, particularly caught my eye. Art gallery managers Rosie de Garcia and Silvia del Castillo were charming hosts as usual. Adalberto Pérez Meillón is the artist who, with his elegant and clean tracings, unfolds the vibrant history of the ancestral culture of the Anasazi—an indigenous community that once was settled in the enigmatic village of Paquimé. A culture which disappeared over 800 years ago and now their existence is only shown by archeological adobe ruins. Paquimé is located in Valle de Casas Grandes, Chihuahua, Mexico, 850 miles to the east of Ensenada, Baja California, and 75 miles from the United States border. Through the authenticity of his work and by being a grand artist who interprets the graphic culture of the Anasazi, Adalberto is compared alongside the great ceramic artists of that same region, like Juan Quezada y Macario Ortiz. As proof, Adalbertos’ paintings are found in different latitudes of the world, forming part of important art collections. Twenty years ago, as an elementary school teacher, in Mata Ortiz, Chihuahua, he was influenced by the indigenous artistic manifestations of the northern region of this state, particularly the culture of Valle de Casas Grandes, where Adalberto taught children for many years. He later decided to leave behind this profession to pursue his dream as an artistic creator. Today, apart from being a painter of the Native genre, he also maintains his vocation of teaching within his own way of expressing himself. His style is kind and generous, while his conversation is filled with vivid sharing. He is always interested in expanding the boundaries of cultural knowledge of those conversing with him. You can talk with Adalberto for hours and the time disappears to give way to a space for the magic of his cultural verbal tours. Explorer in his painting techniques, he maintains an interest for using organic materials, as they could have been used by our ancestors. Upon the amate canvas (paper made from the bark of a tree by this same name) he stamps his message of harmony and love through the symmetric and universal lines; such as agaves, lizards, turtles, snakes and other animals of northern Mexican fauna and flora that constitutes the pictorial universe of Adalberto. 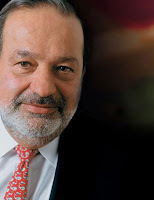 You can find his studio within the prestigious Galería Pérez Meillón, also owned by him. 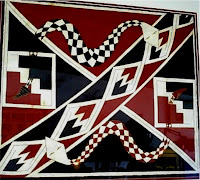 It is there during the last 20 years that Adalberto has promoted his extraordinary works of art, as well as being an enthusiastic promoter of art in his unique gallery by presenting works from other regional and local artists; paintings, sculptures and quality folk art. It is highly noticeable, the respect and dignity with which he promotes the fine quality folk art of the different Baja California ethnic groups, such as the Cucapas, Cochimies, Pai-Pai, Kumiai and the high-quality ceramic works from the village of Mata Ortiz, Chihuahua. Adalberto Pérez Meillón is without a doubt one of the art pillars of Baja California through his creative commitment, his liberty, generosity and particularly for his transcendent mission to be a transporter with his painter’s brush for the Paquimé culture forward through time. Visit Adalberto's website at www.potterymasters.com; contact him by phone at (646) 175-7848 or by email at adalbertopm@hotmail.com. Touring the premier wine country of Baja California Norte in Valle de Guadalupe can be very rewarding during the late winter and spring seasons. Life is somewhat relaxed during this brief period giving inquiring guests an opportunity to mingle with winemakers and knowledgeable winery staff. The crowds have thinned and you’ll often have the whole wine country to yourselves, especially during mid-week. 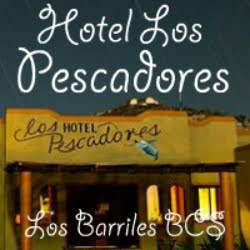 And, if you want to spend a few nights, room rates are reduced at this time for Hotel Plaza Fatima, Hacienda Guadalupe and at the famous Rancho Malagon B&B. As you enter the wine country from Ensenada be aware that highway construction into the valley on Highway 3 is somewhat challenging, so be cautious, and don't drive at night. The first village in the wine country is San Antonio de las Minas which is about seven miles from the Pacific Ocean and scenic Highway One. About one mile beyond the village, as you travel towards Tecate, you’ll see a large white building on the right at km 93.5, this is Viña de Liceaga. This newly completed complex offers amazing wines, great hospitality and is staffed with knowledgeable employees. The tasting room is open daily from 11 a.m. to 5 p.m. with tasting fees ranging from $3 to $10 per person. For $10 you get a wine glass, samples of one white wine, four red wines, and one taste of their Grappa; $3 gets you one taste of white wine and one red wine. Large tour groups of more than ten people need to make advance reservations with Marisa at (646) 155-3281. This winery is famous for their Merlot, but Viña de Liceaga continues to make a good Chenin Blanc from grapes grown in Valle de San Vicente. Their 2007 Chenin Blanc is aged in stainless steel tanks which allows for a refreshing and light white wine with hints of pineapple, green apple, honey and peach. Their 2007 Vinto Tinto is a palate pleasing blend of 80% Merlot and 20% Cabernet Sauvignon, both varietals are grown in Valle de Guadalupe. This user-friendly table wine was released in mid-July 2008 after aging for nine months in American oak barrels. Vino Tinto is a smooth red blend, medium bodied and easy to drink. Liceaga’s 2006 Cabernet Sauvignon is a mellow red blend of 90% Cabernet Sauvignon and 10% Syrah—most delightful and smooth. The grapes are from Guadalupe Valley and are aged for two years in new American oak barrels. Aromas of tobacco, violets, vanilla and coffee with flavors of black fruit, and bell pepper. Smooth, elegant and complex with 13.5% alcohol. Their 2005 Gran Reserva Merlot is an elegant blend of grapes grown in San Antonio de las Minas with 95% Merlot and 5% Cabernet Franc. Aged in new French oak barrels and with 13.5% alcohol this wine makes for a smooth, fruit forward, rich, complex and palate pleasing Merlot. Their newest 2006 Gran Reserva Merlot was released in November 2008, with a slightly different blend of 90% Merlot and 10% Cabernet Sauvignon, no Cabernet Franc added. My favorite wine for 2009 is their new 2006 L—Selection #1, which is the Eduardo Liceaga Campos memorial wine. This remarkable wine is a superb blend of 80% Syrah and 20% Merlot, aged for 20 months in new American oak—a connoisseurs delight! For those who missed their morning cup of coffee, you can still “wake up” with their potent distilled Grappa, called Aqua de Vid. Viña de Liceaga. But, don’t try driving, dancing or walking after a sip or two! Grappa is a distilled spirit without color made from black grape pomage, fermented, gently pressed from several wine varieties, and aged for three years in new American oak. Their Grappa creates a powerful clear beverage that will awaken even the most laid-back individuals. You’ll love the new facility, the friendly staff and their delightful wines. This summer, they plan to add a new picnic area with a large fountain, tables and various food vendors to provide lucky guests with a fun-filled day in Baja California’s beautiful wine country. The best times to visit are October through June, but if you don’t mind crowds and summer heat, you won’t want to miss their Fiesta de la Vendimia event held in August. Picture perfect weather in San Felipe today...again. Expect temperatures in the mid to upper 80s. There is cloudy weather to our north showing up on radar in the Mexicali Yuma areas and we may see some clouds later today. Currently there are very high wispy clouds and loads of sunny blue skies. A lite breeze is just enough to keep the higher temperatures comfortable. It's a good day to call friends in the snow belt and gloat a bit...You know you love to! It is a go out and do it week. 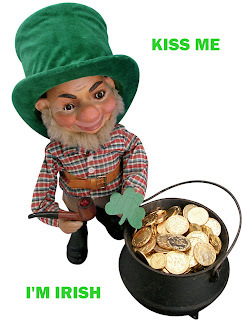 Prediction...everyone will be Irish today...Happy Saint Patrick's Day.